Is MyMagic Plus Right for Your Family? At some point in time (we can hardly remember), Disney World offered FastPass. Then FastPass became FastPass+, which then expanded to MagicBands and MyMagic+. What exactly are all of these programs, and how are they related? We’ve divided up each feature of MyMagic+ to help you understand which options are best for your family. In simple terms, MyMagic+ covers four features: My Disney Experience, MagicBand, FastPass+ and Disney Memory Maker. Set your family up with an account on My Disney Experience – you can do so online, though it’s easiest to use the program’s free app, available for iPhone and Android users. 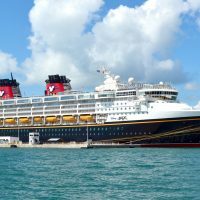 My Disney Experience allows park goers to purchase tickets, and create, see and share resort and dining reservations and plans with other friends and family who are traveling to Disney World. The app also provides maps and real-time attraction information (find out just how long you’ll have to wait to meet Anna and Elsa). The program also allows you to manage FastPass+. The MagicBand is an easy, all-in-one alternative to tickets, room keys and cash. The waterproof wristband acts a hotel room key (at Disney World Resort Hotels); ticket for parks; and payment for merchandise and food. It’s also linked to FastPass+, in addition to Disney Memory Maker (additional fees apply) — you can easily access and store all those fun, cheesy photos taken by photographers throughout the parks. The MagicBand is given to annual passholders or guests of Disney World Resort Hotels. While you’re not required to have MagicBands (and they’re really not needed for those staying offsite), they certainly ease vacations (and in different colors and themes, they’re pretty cool, too). If you opt to stay at a hotel outside of Disney World, you will receive a card for park admission with the option to purchase a MagicBand online or at the parks for $12.95 (plus tax). Guests of Disney World Resort Hotels receive MagicBands free of charge. FastPass+ allows visitors to avoid long wait times for up to three rides per day. It can be purchased on My Disney Experience, or at a kiosk inside the parks. Once you’ve reserved your rides of choice, you’ll be given a window of time in which to visit those attractions — it’s usually an hour. When you arrive, locate the designated area for FastPass+ and scan your card or MagicBand. Visitors can typically elect up to three rides per day on which to use it, under three conditions: there’s availability, the rides of choice accept FastPass+ (not all do) and all of those rides are located in the same park. For instance, you can use FastPass+ on Big Thunder Mountain Railroad, Dumbo the Flying Elephant and Seven Dwarfs Mine Train at the Magic Kingdom, but you can’t use your FastPass+ on Big Thunder Mountain Railroad, Dumbo the Flying Elephant and then a ride at Animal Kingdom on the same day. You can, however, select one additional ride after you’ve ridden all three on your schedule — visit a park kiosk to do so. 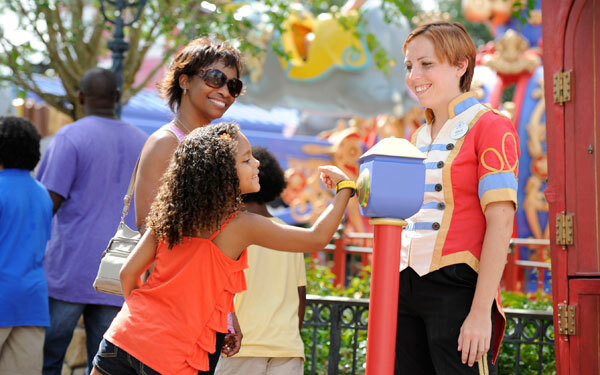 The cost of FastPass+ is included in ticket, package or annual pass rates. All photos taken of your family at designated Disney PhotoPass locations, plus select attractions and restaurants, are stored to MyMagic+. This means you can easily access and save all digital images — they’re yours to keep. You can also view and download other family members’ photos if they’re linked to your account; if you don’t want anyone to see your photos, you have the ability to restrict access. My Memory Maker costs $199, or $169 if you purchase at least three days in advance of your trip. For those who don’t have MagicBands, but choose to purchase My Memory Maker, all photos are stored to their RFID-enabled cards.